On November 1, 2016 the agreement was signed in Sao Paolo by the president of the Johannes Gutenberg-University Mainz Georg Krausch, the director of ICTP-SAIFR Nathan Berkovits and Matthias Neubert, director of MITP. The main purpose of this agreement is to encourage scientific exchange visits and collaborations between researchers at ICTP-SAIFR and MITP in order to promote progress in all research areas of common interest and to build academic ties between the two institutions. 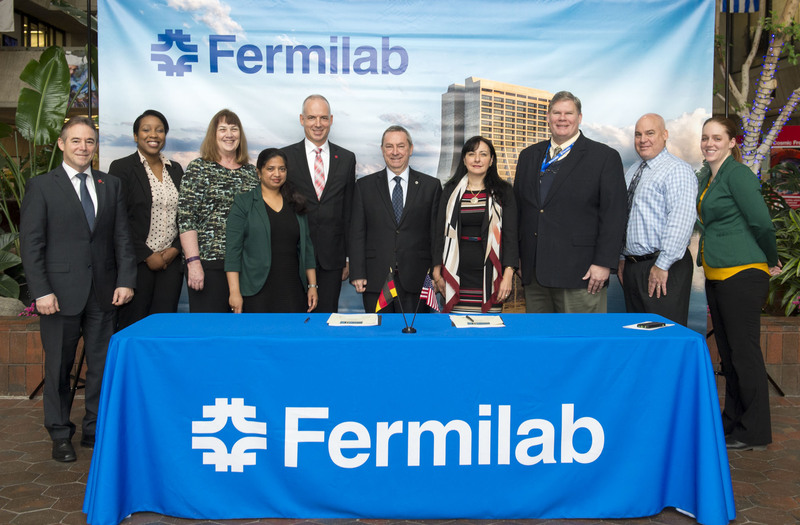 The agreement was signed on January 17, 2017 by the president of the Johannes Gutenberg-University Mainz Georg Krausch and the director of Fermilab Nigel Lockyer. 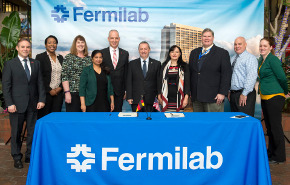 The purpose of this agreement is to intensify collaborations between researchers from Fermilab and JGU Mainz. The agreement was signed in Tokyo on July 20, 2017 by the director of the MITP Matthias Neubert and the director of Kavli IPMU Hitoshi Murayama. 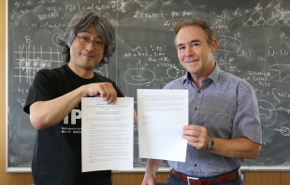 It is the third international agreement for MITP. 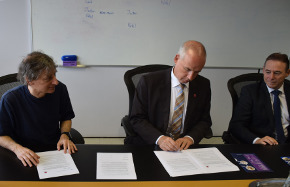 The agreement is aimed at enlarging and intensifying the scientific collaborations between both institutions. The agreement was signed in Mumbai on December 12, 2017, by Matthias Neubert (MITP Director) and H. M. Antia (Dean of the Natural Sciences at TIFR). Further participants of the signing ceremony included Sandip P. Trivedi (Director of TIFR), Juergen Morhard (German Consul General in India), and Joachim Kopp (Professor for Theoretical Elementary Particle Physics at JGU). The cooperation seeks to foster the bilateral exchange of scientists and junior researchers, including mutual research visits and summer school waivers.